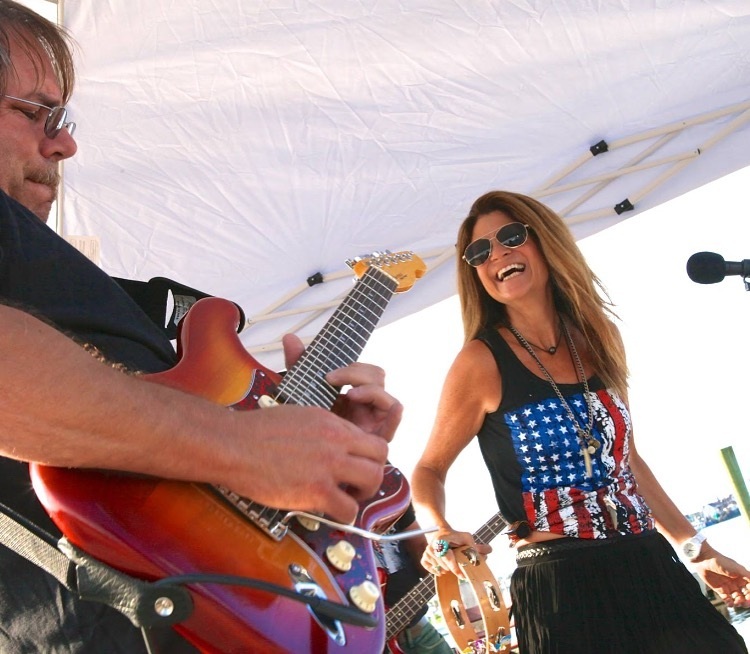 Lynn Blue Band, with Dave Portocarrero on guitar and vocals, and Jim Nanos on bass and vocals, plays classic rock, folk rock, blues, alternative and original music all over the East End of Long Island and the Hamptons. You can find this popular Hamptons band at The Montauket, Muse, Gurney’s, and The Westlake Fishhouse in Montauk, at the Stephen Talkhouse in Amagansett, at Wolffer Vineyard in Bridgehampton, The ClubHouse in East Hampton, Southampton’s SeptemberFest, Baron’s Cove in Sag Harbor, Hotel Fish in Hampton Bays and Claudio’s on the North Fork. The Lynn Blue Band plays Hamptons parties, weddings, birthdays, and charity events and is available to provide music for private events from Montauk to Manhattan. The Lynn Blue Band is fortunate to mix it up and play with some of the most talented keyboard/piano, guitar players, bass players and percussionists on the East End. Covering the Beatles, Pretenders, Bob Dylan, Stones, Joan Osborne, Arthea, Bonnie Raitt, Bob Dylan, Van Morrison, Aretha, Bonnie Raitt, Ben Harper, Bob Marley, Oasis, Amy Winehouse, Elvis Costello, Beck and what ever else strikes their fancy, the band has a great following, and tailors set lists to whatever vibe works – “acoustic sunset to sweaty dance party.” A singer/songwriter, Lynn Blue and the band also write and perform original music. Lynn Blue has been singing since day one. Really. She came out of the womb looking for a microphone. At age nineteen she went on a small regional tour with Godspell, and in the 1990s she was in a band in NYC called Modesty Blaze, playing East Village dives like Spiral and Arlene Grocery. As an advertising copywriter at Young & Rubicam and Wells, Rich Greene, Lynn wrote jingles for M&Ms, Pringles, KFC, Johnson & Johnson, and more. After moving to Montauk, she started singing again and performed at an on the air at Guild Hall Concert, at producer Cynthia Daniel's invitation. There, she connected with talented musicians including Joe Delia, Randolph Hudson and Klyph Black. Lynn Blue Band is fortunate to play with Long islands best keyboardists, drummers, bass players and horns. Dave Portocarrero has been playing guitar on Long Island for over 30 years. Influenced by a wide variety of music especially rock, progressive, and jazz, he owns a recording studio and also plays bass guitar and drums. Jim Nanos grew up listening to and playing music. His mom played guitar, mostly cowboy ballads. She taught him his first two chords at age nine. He picked up a banjo and taught himself Kingston Trio tunes and other folk music, and as part of a duo, opened for Judy Collins at age 13. He moved over to rock music playing electric guitar and bass, played in high school bands and moved to LA where he worked with producer Gary Usher. (Birds, Beach Boys.) He produced the first records for LA punk band X and played with the Billy Zoom band. He returned to NY in 1989 and has played with countless local bands ever since.